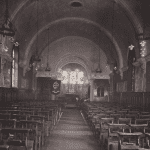 Sister Martha Sophia BAINES was born and baptised in 1870, in Thorpe Mandeville, Northamptonshire 1. Her father was a grocer and gardener 2 3 . She trained at The London Hospital, and joined Princess Christian’s Army Nursing Service (Reserve) on July 11, 1900 4. It is an open secret how deeply the gentle heart of the Princess of Wales has been moved by the suffering of the sick and wounded during the war, and rumour has it that neither she nor the Duchess of Argyll have been satisfied by existing methods of organisation for providing nursing care for our brave soldiers. We were not surprised to learn that the Princess of Wales was anxious to send out more nurses, and that on Friday last she paid a private visit to the London Hospital, where a pretty and touching ceremony took place in the nurses garden, where 100 nurses were assembled. The Hon. Sydney Holland, Chairman of the Hospital, presented 20 nurses selected from the hospital staff for service in South Africa, at the expense of funds at the Princesses disposal. The Princess spoke to the nurses in turn, and, after tying round their arms her own badge, presented to each a warm Shetland shawl and rug. Each nurse will take with her a box filled with medical necessities for typhoid. The Princess is also sending with them two large boxes of presents for soldiers whom they may have to nurse. 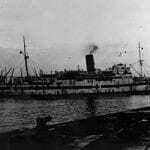 The 20 nurses selected sailed for the Cape in the transport Assaye on Wednesday last, their names being:- Miss H.O. Luckie, Sister-in-charge and Misses M.S.Baines, E.Baldrey, L.Bristow, E.Fry, A.Gore, C.Hanbury, M.M.Holloway, L.Humphreys, I.Lawson, B.E.Lloyd, E.E.C.Marsh, K.Parminter, M.E.Tate, C.E.A.Thorpe, A.Thomas and E.Whistler 5. During the Boer War she served at No.2 General Hospital in Pretoria, and at Bloemfontein, and with No.5 Stationary Hospital 6.